Mosquito Joe provides outdoor pest control treatments to residential and commercial customers with barrier spray treatments, all natural treatments, and special event treatments to name a few. Our technicians are trained mosquito control experts dedicated to one thing: getting rid of mosquitoes so you can enjoy being outside again. Outfitted with the latest gear and backed by the coordination of a top-notch support staff, our technicians in the field get the job done swiftly and thoroughly, leaving a noticeable absence of biting insects in their wake. 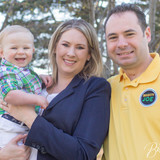 Family owned business with 23 years of experience. We are a budget priced company so our customers can afford to get rid of their infestation. Our business is our livelihood but it is also so much more. Patrick's Pest Control was started to fill in a void in the current market and to make a business that people can place their trust in. Over the years we have never lost our commitment to our clients and that is what has allowed us to succeed in a very competitive industry. 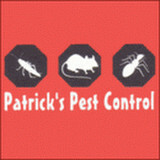 The employees of Patrick's Pest Control stand committed to our purpose and will provide the best service! 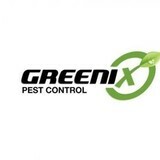 Greenix offers a slew of services ranging from protection against the many different insects to prevention and management of nuisance wildlife. A homeowner's worst enemy can be found right in your back yard, and it's Greenix's job to ensure that the outside continues to stay, well, out side. In Utah, we commonly deal with ants, spiders, centipedes and stinging insects but we are more than capable of dealing with any buggy situation that might pop up. At Bed Bug Free Pest Management, our mission is to provide effective bed bug consultation, prevention, education, inspection and extermination services for residential and commercial properties in the Greater Cleveland area as well as Akron, Canton and NE and NW Ohio. 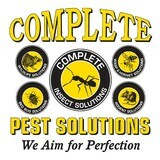 We are a fully licensed and insured exterminator specializing in effective bed bug services. We proudly serve the Greater, Cleveland Ohio area, and have been doing so since 2005. If you are suffering from a bed bug infestation, but don’t know how to get rid of them, there is no need to be embarrassed. Bed bugs infest even the cleanest homes and most high end hotels. Even if you just suspect you may be living with bed begs; you should not hesitate to call Bed Bug Free Pest Management today! Our professionals know every detail about blood sucking bedbugs, plus we know how to successfully detect and treat them. We offer both visual and canine bed bug inspections as well as custom treatment plans that may include gas or electric powered heat treatments, chemical treatments to achieve complete bed bug removal. We treat all cracks, crevices and even pull beds apart to track down and kill hungry bed bugs. We offer limited preparation treatments where all we ask is that you remove excess clutter before we start. A bed bug can be your worst enemy, but it doesn’t have to be if you call Bed Bug Free! We will strive to make sure you don’t have to worry about bed bugs! To provide effective bed bug inspection & extermination company for residential and commercial properties. We make sure you never have to worry about bed bugs ever again. If you decide to use our affiliated bed bug exterminators we guarantee to keep your location bed bug free for a full 90 days, or we will match your full investment and we will re-do the whole treatment at our own expense, absolutely FREE! Click here for more guarantee details. The TNT Exterminating Company was founded in September of 1935 by Harold J. Portwood. Initially, TNT was located at 109 North Main Street. Mr. Portwood entered the pest control industry quite by accident as his father-in-law’s farm was overtaken by rats and Harold undertook the task of getting rid of them. There were few other exterminating companies in business during the 1930’s. Mr. Portwood recognized the need for a service applicable to stores, restaurants, hospitals, and other commercial and industrial facilities. Besides providing monthly pest control services to business establishments and private homes, the office housed a retail store. This store was used for selling insecticides, powders, sprays, and baits to walk-in customers who chose to apply the treatment themselves. In June, 1995, Michael Grace purchased TNT from his father. As a third generation pest control operator having 35 years of experience, Mike has been president of the Ohio Pest Control Association and Chairman of the Ohio Professional Applicators for Responsible Regulation. As the public perception of pesticides continues to evolve, TNT has become a proactive preventive service company rather than a purely reactive one. Our level of service has increased in the flexibility of hours and with the growing need of our customers. We continue to provide inspections and treatments throughout the Akron area. During the late ‘90s TNT Exterminating had grown into the Cleveland market and suburbs. We currently have accounts from Ashtabula, Mentor, to the west Avon and Parma in between. If you would like to speak with the staff at TNT Exterminating about services offered or to schedule an appointment for an inspection, please contact us today! At Bed Bug Free Pest Control, our mission is to provide effective bed bug consultation, prevention, education, inspection and extermination services for residential and commercial properties in the Greater Cleveland area as well as Akron, Canton and NE and NW Ohio. We are a fully licensed and insured exterminator specializing in effective bed bug services. We proudly serve the Greater, Cleveland Ohio area, and have been doing so since 2005. If you are suffering from a bed bug infestation, but don’t know how to get rid of them, there is no need to be embarrassed. Bed bugs infest even the cleanest homes and most high end hotels. Even if you just suspect you may be living with bed begs; you should not hesitate to call Bed Bug Free Pest Control today! Our professionals know every detail about blood sucking bedbugs, plus we know how to successfully detect and treat them. We offer both visual and canine bed bug inspections as well as custom treatment plans that may include gas or electric powered heat treatments, chemical treatments to achieve complete bed bug removal. We treat all cracks, crevices and even pull beds apart to track down and kill hungry bed bugs. We offer limited preparation treatments where all we ask is that you remove excess clutter before we start. A bed bug can be your worst enemy, but it doesn’t have to be if you call Bed Bug Free! We will strive to make sure you don’t have to worry about bed bugs! Lewis Exterminating Co. prides itself on being the go-to choice for clients looking for Roaches, Bed Bugs and Ants services. Bed Bug Exterminator Cleveland is a professional pest control company serving the entire Cleveland area. They specialize in bed bug removal. If you suspect that you have bed bugs in your home, their team of professional exterminators will perform an inspection and help you get rid of them fast. Our mission is to provide you with superior customer service and help you rid your home or business of all unwanted pests and animals by providing you with a detailed assessment and treatment plan that is environmentally friendly to your entire family. We will help you prevent the problem from recurring by closing off the access or voids in your home from the foundation to the roof and customizing a cost effective treatment plan that fits your budget. The Bed Bug Pros by Ridtek specializes in bed bug problems, and general pest control. Unwanted guests are never fun, especially when you can’t ask them to leave. Luckily, Akron pest control companies have no problem kicking them out. Whether there’s a rodent in your basement or insects in the attic, call your local Akron exterminator to take care of them — do not try to wrangle them out yourself! 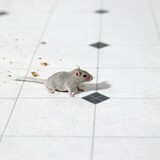 Not sure which type of home pest control service in Akron, OH can tackle your issue? Read profiles and ask about their past experiences to get a good idea.